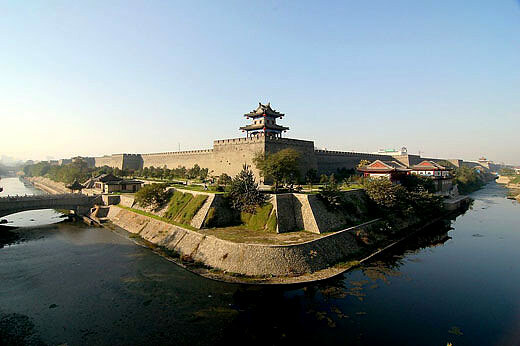 Thanks to its rapid economic development, Xi'an is regarded as one of the most important cities in northwestern China. There are many large shopping centers and supermarkets throughout the center, most notably on Dong Dajie, Nan Dajie and Jiefang Lu. 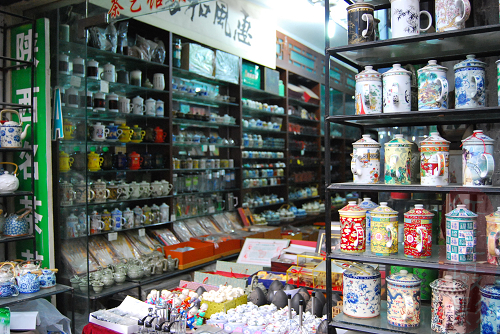 There are also many historical artifact and souvenir shops in Xi'an, such as those found at Shuyuan Men Street, Xi'an Antique Market, and Wenbaozhai Tour Shopping Center. 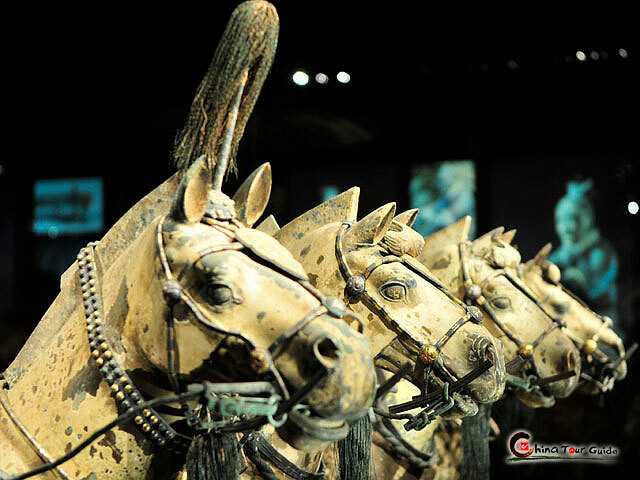 Tang tri-colored glazed pottery, replicas of horse or warrior clay figures, and folk handicrafts like paper-cuts and cloth art, can be found there. 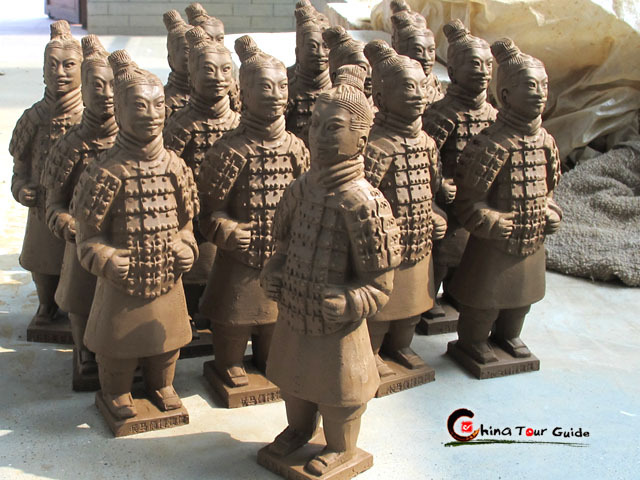 For visitors to Xi'an, one of the most intereting shopping and hand-on activity is to DIY their own models of Terracotta Warriors at Xi'an Art Ceramics & Lacquer Factory, usually right following the trip of the real Terracotta Warriors. 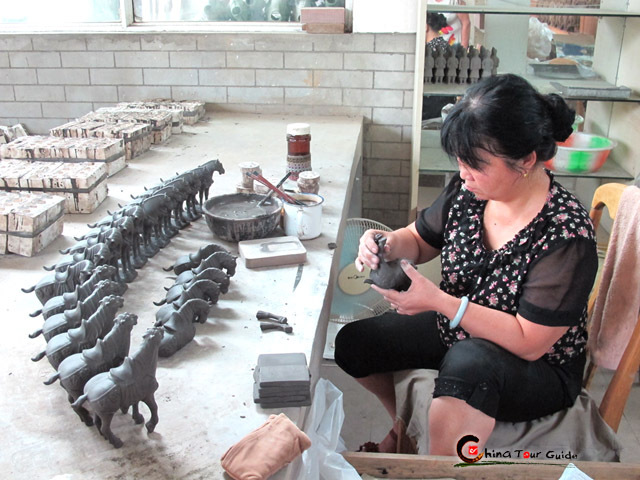 Besides taking delight in the hand-making work, you can also have a tour around the factory and see how terracotta models are made. Under the ancient city wall behind the Forest of Steles, there is a well-known street styled after those found in ancient towns. 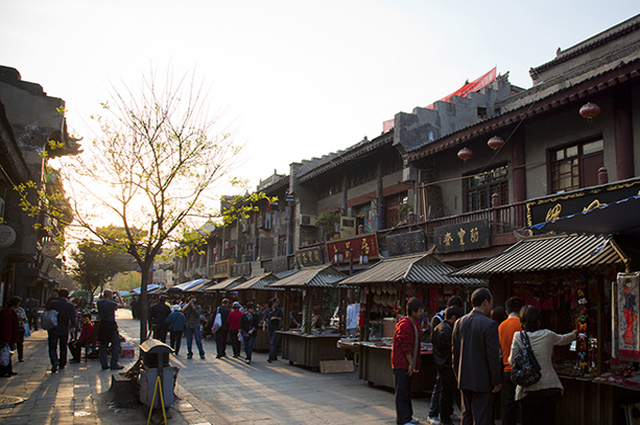 This street, Shu Yuan Men, is famous for the art and culture found there. 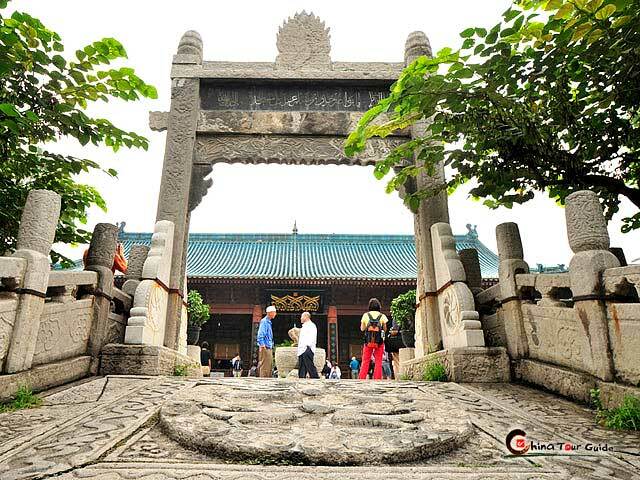 Both sides of the slab stone road are lined with buildings in the Ming and Qing styles. Various crafts and arts are sold on this crowded street all year long. 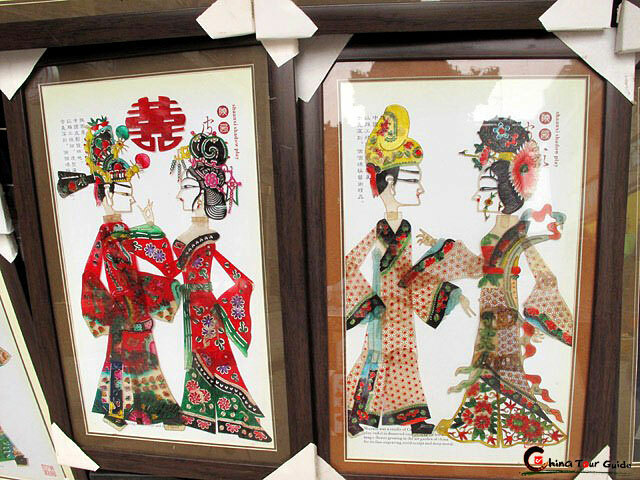 Historical items, calligraphy, paintings, antiques, jewels, and folk art are all tourist favorites. 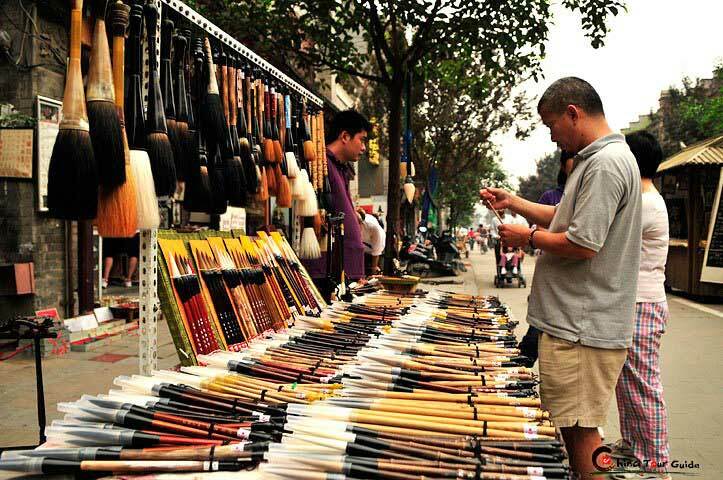 The Xi'an Antique Market is located at the intersection of Zhuque Lu and Nan Erhuan Lu (Southern 2nd Ring Road) near the Small Wild Goose Pagoda. From large furniture to small coins, the market contains every possible antique known to collectors. Be sure to be on guard against replicas as some unscrupulous sellers will jump at the chance to pawn off fake objects on unsuspecting buyers. Xi'an's Wenbaozhai Tour Shopping Center is one of the earliest fixed tour shops for foreign travelers in the Northwest. It is an important window opening Xi'an and its unique products to the outside world. Dealers sell silk rugs, woolen blankets, silk clothing, jewels, jade articles, calligraphy, paintings, historical relics, antiques, model clay figures of warriors and horses, and bronze cars and horses. 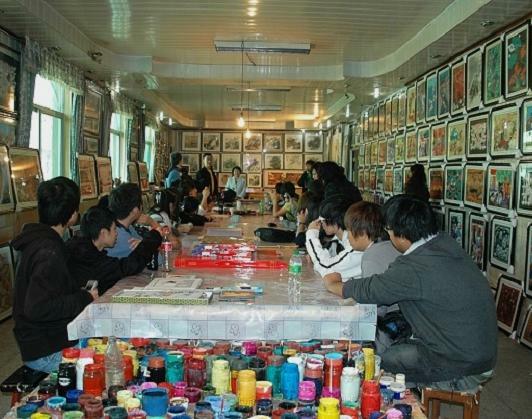 The Peasant Painting Gallery in Xi'an 's eastern district is one of the most renowned galleries offering Shaanxi folk crafts. 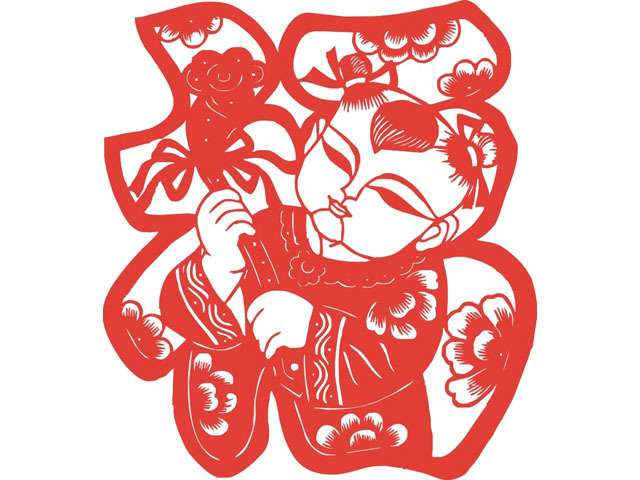 Serving thousands of visitors from China and across the world, the gallery has a large number of colorful peasant paintings, as well as other folk crafts such as paper-cuts and shadow puppets. Professional craftsman in the gallery even teach visitors to paint or cut!